Should Five Seconds Be the New Ad Viewability Standard? Viewability. It’s one of they key issues facing the online advertising industry, as brands – wary of getting scammed – ask for ever-increasing levels of transparency; with oil giant Shell now asking for FIVE TIMES the industry standard before it pays for online ad space. 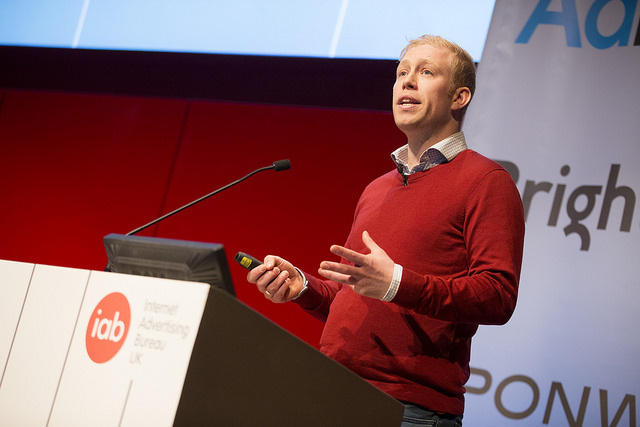 The IAB has attempted to lead the way, brokering an ‘industry-wide consensus’ that a viewable ad is one where 50% of the creative was served on screen for one second. 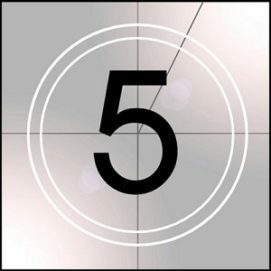 However, one of the world’s most recognisable brands now wants five times that amount before it shells out (pun intended). The disclosure was made at the IAB RTA (real-time advertising) conference last week, where Americo Campos Silva, Shell International Petroleum Company, global media manager, (pictured right) told delegates he wanted to see significant improvements in the ad tech space, especially when it came to whether or not his brands’ ads were seen by a human being, where exactly his ads were seen. 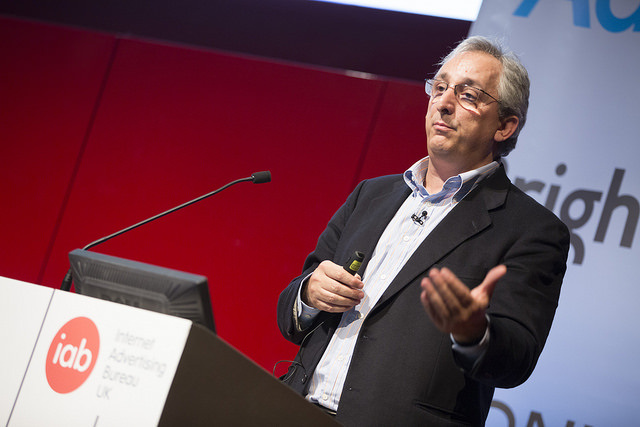 Shell, which is predominantly a brand advertiser, is equally excited and concerned about programmatic advertising; and, to ensure value is being supplied, it is insisting that publishers and ad tech players alike demonstrate value on their media plans. During his presentation, Campos Silva, said: “Of course programmatic is important to us, but what is also important to us is brand safety and transparency. I don’t like the word ‘arbitrage’, to be honest. In terms of viewability, it is an amazing picture that we see. “What we see from the IAB [in terms of what is a viewable ad] is that the ad has to be seen for a second, but clearly this is not good enough, at least for us. For us, we want to be seen for at least five seconds. I prefer this to the IAB definition [of what is a viewable ad]. Campos Silva added: “I don’t accept ‘one second’ any more in terms of viewability. We are now targeting five seconds for viewability, and that is our benchmark, and our goal. “As an advertiser, I think about buying advertising the same way as I think about investing money in the stock market, and guess what, I want my ad to perform. However, the problem [with programmatic], is that you buy, but you don’t know what you are buying. He then went on to point out some of the other occurrences of malpractice that had been brought to Shell’s attention, such as instances of ‘invisible ads’ being served on a publishers’ webpage, plus other instances of fraudulent traffic. “I have one thing to say to publishers, and that is: Please don’t facilitate the fraud. There are a number of things publishers can do to help fight the click farms, they just need to be more careful,” he said, noting that there are a handful of publishers that are working to improve viewability standards. 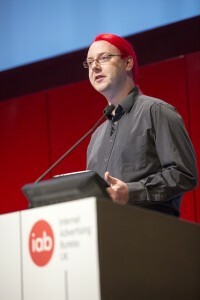 Paul Gubbins, Millennial Media, head of programmatic, EMEA, (pictured right) was also in attendance at the IAB event, he points out the the IAB’s guidelines are a bare minimum standard, and one that should be used as a base measure only. Gubbins also points out that further work must be done to address viewability, particularly as audiences migrate to mobile. For David Frew, IAB, programmes manager, (pictured left) Shell’s vision of an ad being viewed for five seconds before it qualifies as ‘viewable’ is a possibility, but he stresses the need for a less adversarial approach to the advertising market, adding that consistent measurement is key to a more harmonious ecosystem. Discrepancies around ad viewability promise to be one of the key hurdles for the ad tech industry to clear, with trade bodies Association of Online Publishers (AOP), the Institute of Practitioners in Advertisers (IPA), as well as the IAB lobbying their respective members to implement standards around measuring ad viewability, with a longer term goal of establishing a concise trading standard. More recently, The IAB Europe published a white paper laying down further guidelines on viewable ad impressions to stakeholders in the digital advertising sector across the continent. The document provides advice on viewable impressions, and also offers guidance on how to assess viewability within the context of a wider metrics portfolio, with perspectives from different stakeholders groups within the digital advertising ecosystem. In addition, it attempts to clarify definitions on some of the terminology within the field in an attempt to bolster investment in digital advertising from brand advertisers in particular. 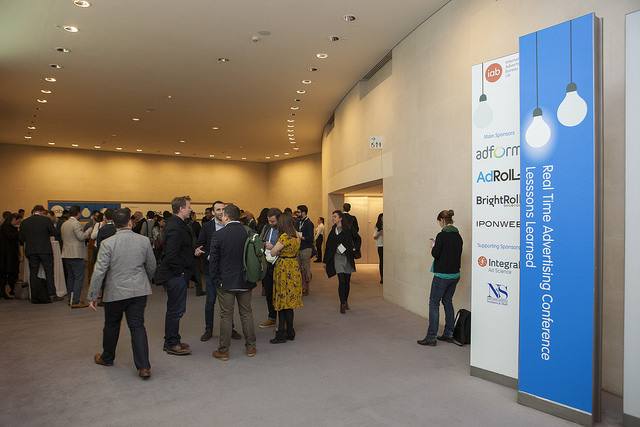 However, leading figures in the publishing industry are making the case to advance the conversations by applying unique metrics to different ad formats, with some parties noting that discrepancies in reporting between different ad tech vendors are still not acceptable. Fabien Magalon, La Place Media, managing director, said discrepancy rates he observed in a recent audit of the publishing co-op members’ of sites were unacceptable. In the US, the latest IAB guidelines on ad viewability, issued in association with fellow trade bodies the 4A’s and ANA during December 2014, saw the grouping label 2015 “a year of transition” when it comes to “audience currency”. The guidelines – contained in a report entitled ‘State of Viewability Transaction 2015’ – state 70% as the best threshold for buyers and sellers, reiterating the MRC claim that 100% viewability is “unreasonable for advertisers, agencies and publishers implementing viewable impressions as measurement currency”. The report also advises that advertisers should continue to be billed based on the number of served impressions during a campaign, and further instructs that these should be separated into two categories: measured and non-measured. Given the limitations of current technology, and the publisher observed variances in measurement of 30-40%, it is recommended that in this year of transition, measured impressions be held to a 70% viewability threshold. If a campaign does not achieve the 70% viewability threshold for measured impressions, publishers should be willing to make good with additional viewable impressions until the threshold is met. Such a guarantee assures that all paid measurable ad impressions will be viewable at a threshold that both exceeds the minimum standard and falls within observed variances. See more in the video below.